COMMERCIAL DRIVE GEM! We just love this cute boutique strata in a quiet spot tucked off The Drive. Previously a 3 bedroom, this 2 bed + flex room home offers a reverse plan for maximum light & views. Upper level features a living room drenched in natural southwestern light with a fireplace & access to the sundeck w/ downtown skyline vistas. A dining area fit for the family & sunny kitchen with s/s appliances. Mid-level has master, bath & access to the convenient attached garage. Lower level offers another bedroom & den/3rd bedroom, full bath, laundry & access to the fenced private patio – great for relaxing. 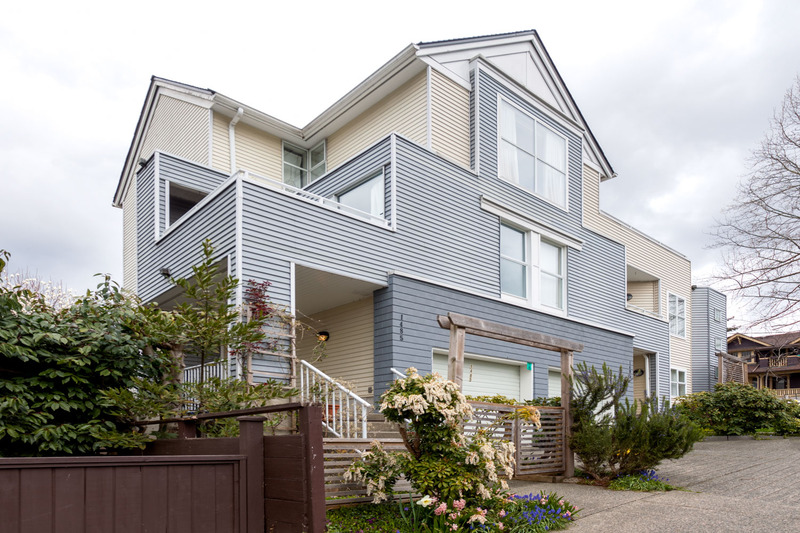 3 blocks of blossoms & colorful character homes connect you to the vibrant amenities on The Drive. 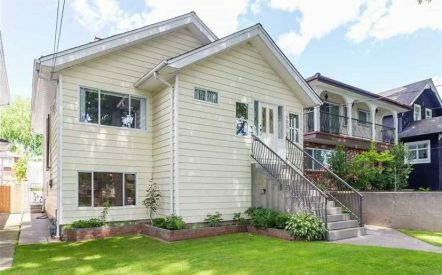 Great value in this 1255 sqft home close to schools, parks, transit & shopping! 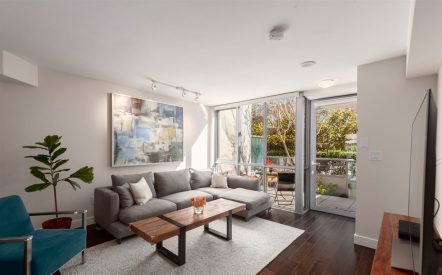 Check out all of the details of this townhouse in Commercial Drive.